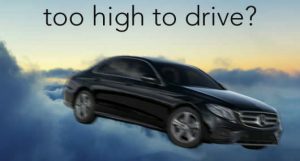 When you are too high to drive in Canada? As Canada continues to debate legalising cannabis, amendments to Bill C-46 go unnoticed. This Bill amends driving offences in the criminal code and other acts. It will lay out driving offences for drivers impaired by cannabis. But, there are concerns about how police will determine if a driver is too high to drive or not. Cannabis Industry Group chairman Matt Maurer wants to know how they are going to test this. Police will use roadside testing devices to test saliva. When this is positive, drivers will have to undergo a blood test. Bill C-46 supporters said these devices must be available as soon as the legislation changes. Some even suggested delaying the cannabis legislation until police have these devices. Concerns also surround the definition of cannabis impairment. The new amendments say drivers with between 2 to 5 nanograms in their bloodstream can receive a fine of up to $1000. They also receive a summary conviction. Drivers with more than 5 nanograms can receive a criminal conviction. This does not take into account how the body metabolises the THC in cannabis. Regular and medical cannabis users may have these THC levels in their system, but may not be high. It depends on when they last used cannabis. Maurer said the effects of cannabis were subjective between each individual. While this Bill sets the allowable THC levels for drivers. They do not determine a driver’s impairment. There are more potential problems with Bill C-46. It gives police even more powers to roadside test for driving impairment. Some have concerns this will result in targeting minorities groups. Maurer said that even if the legislation passes in its current form it can still change. The law can evolve as testing for cannabis impairment becomes more accurate. With the limits of 80 milligrams of alcohol in 100 millilitres of blood, we know that a driver is alcohol impaired. Courts agree science can prove this. Setting marijuana THC limits in the bloodstream is not the same thing as an alcohol reading. Impairment from THC is completely different and varies based on different factors. There is no science behind these limits have not been upheld in a court. Canadian Society of Forensic Science chair of the drugs and driving committee said impairment depends on a number things. Amy Peaire said blood concentration levels will vary between everyone. And it depends on whether they smoked or ate it. She said there was not a good correlation between blood concentration of THC and impairment. Lawyers with the Canadian Bar Association say the amendments will be hard to enforce. A spokesperson told senators they considered the changes no better than existing legislation. Lawyers warned the government Bill C-46 will clog up the court system and will be difficult to defend. When you are too high to drive in Canada DREs Conservative Senator Claude Carrigan has concerns about the Bill. He has said the best test for cannabis impaired drivers is using a drug recognition expert (DRE). The problem is there is a shortage of DREs in Canada and certification is a long process. And, the only training available is in America only months out from cannabis legalisation. A Vancouver lawyer backed this. They said the laws had a better chance of standing up in court in when using DREs before laying charges. Canada’s Senate has delayed further debate on the Bill with some disagreement on the reasons. On one hand some senators agree with the delay. They say police need the time to prepare for the law to come into effect. Others disagree saying once the law passes police know exactly what they face and can equip themselves accordingly. Whatever the reason, debate is due to start again in May. Do you ever think about when you are too high to drive in Canada? Is it possible to be too high on cannabis? Worried about roadside drug testing detection times.